Kyle Williamson is the owner and founder of SynchroNet Incorporated and serves as the company’s CEO. 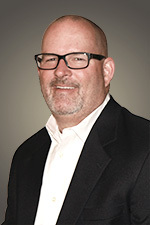 Kyle has over 20 years of experience in the telecom and data communications industry. Kyle has been on telecom’s front line since serving as Senior Systems Engineer in NORTEL’s Broadband Network Engineering division during the chaotic boom years that followed the 1996 Telecommunications Act. From designing some of the first CLEC transmission and access networks, working with OEM’s on next-generation technology development, and understanding the issues and pressures faced by today’s service providers, Kyle is able to integrate a wealth of experience across seemingly disparate segments of the communications industry. Through Kyle’s leadership, SynchroNet has evolved from a home-based startup to a recognized industry leader. His focus remains on building SynchroNet into a world-class professional services company that delivers unequaled quality and value to OEM partners and service providers alike. 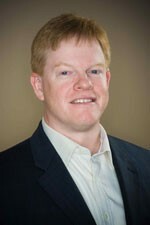 Kyle is also the founder and CEO of SynchroNet’s sister company, SyncGlobal Telecom, a facility-based CLEC operating in Georgia and Alabama. Among his professional affiliations, Kyle is a Fiber Network Alliance (FNA) founding board member. Kyle received a bachelor’s degree in Electrical Engineering from the Georgia Institute of Technology. John Stanford joined SynchroNet Incorporated in 2000. Over the past 15 years, John has held numerous positions of increasing responsibility while working toward his current executive leadership role. John began his employment as a Field Technician and was then promoted to Installation Team Leader the following year. These combined roles afforded John ground-level experience directing large scale network build outs for customers across the country. In 2002 John was fast-tracked to Project Engineer followed by a promotion to Director of Engineering in 2005. In these customer-facing, consultative positions, he developed network designs, facilitated project deployments, managed field operations, directed multiple installation teams, and oversaw project delivery and customer relationships. 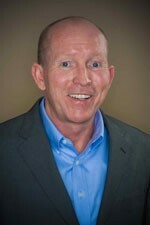 John was named COO in 2009. Under his leadership, SynchroNet’s operational capacity grew; its scope-of-work capabilities expanded; and quality assurance measures were formalized. John’s broad experience, demonstrated leadership qualities, and organizational success led to his current appointment as President of SynchroNet Incorporated in 2011. John’s goals as President are many; however, he is particularly focused on the continual improvement of the customer experience. In addition to direct customer-affecting concerns, John has prioritized the personal and professional development of SynchroNet’s employees as an end unto itself and as a means to strengthen customer relationships, family, and community. Todd Holdridge joined SynchroNet, Incorporated as CFO in 2005. In this role, Todd oversees all corporate financial functions and is responsible for the development of financial and operational strategy along with metrics to evaluate strategic effectiveness. Todd has over 25 years of financial leadership experience and a unique aptitude for efficiency improvement and resource optimization within complex telecommunications environments. Previously, Todd held a senior management position at DeltaCom, now EarthLink, where he led a multi discipline team that was given broad responsibility to identify procedural inefficiencies, analyze expenditures, create budgets, and develop operational improvement initiatives. Todd received a bachelor’s degree in Accounting from Jacksonville State University.